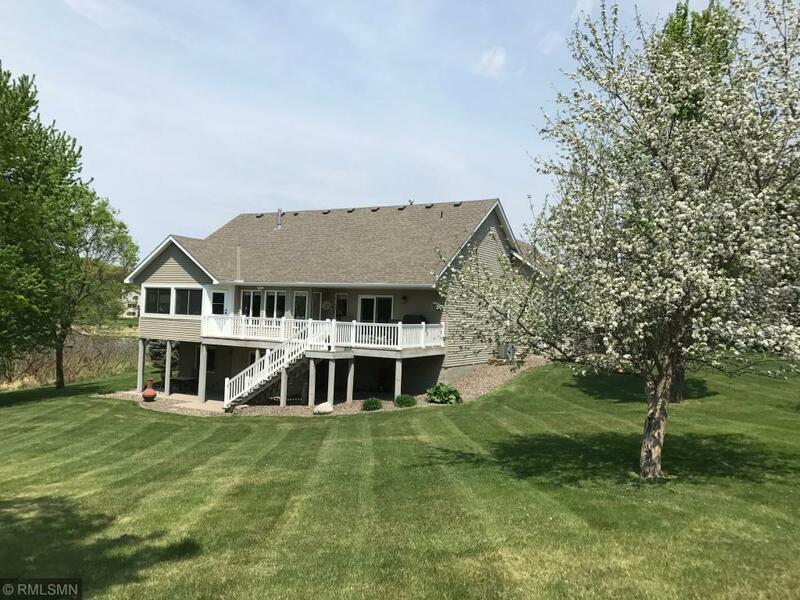 Immaculate home on private acreage. One owner. Highly functional open floor plan with vaulted ceilings. Great neutral palette. Main floor laundry. Walk in master closet. Master bath has jetted tub, separate shower. 3 car heated garage. Partially finished walk out lower level. This home has a lot of storage area including a cedar lined cedar closet. Enjoy the mature trees with the pond view while sitting in the beautiful 3 season porch. This home is a must see and won't be on the market long!